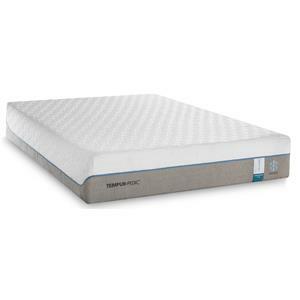 The National Park Level 7 Twin Extra Long Plush Euro Pillow Top Mattress by Sealy at Beck's Furniture in the Sacramento, Rancho Cordova, Roseville, California area. Product availability may vary. Contact us for the most current availability on this product. The National Park by Sealy Collection brings you a great value in a quality mattress set. With such features as individually wrapped coils to conform to your body and minimize motion transfer and layers of SuperSoft foam to cushion your body, these mattresses were designed for a good nights sleep. The National Park Level 7 collection is a great option if you are looking for Mattresses in the Sacramento, Rancho Cordova, Roseville, California area. Browse other items in the National Park Level 7 collection from Beck's Furniture in the Sacramento, Rancho Cordova, Roseville, California area.